For ecommerce merchants, new customers mean new business. There are many customer-acquisition tools available to online retail marketers. Five of the best can be pay-per-click advertising, email marketing, social media marketing, marketplaces, and contest marketing. Pay-per-click advertising is frequently the premier online marketing tool for attracting new business. 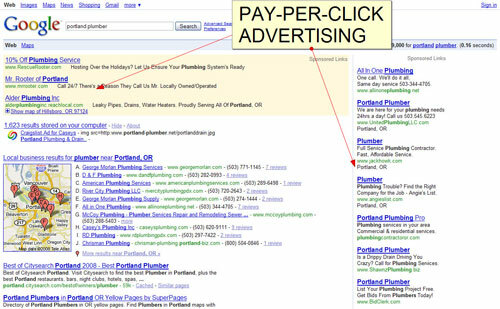 For the unfamiliar, pay-per-click ads appear on search engines and other sites. When a potential customer clicks on one of these ads, the marketer is billed. For search engines, consider using at least Google. It may also make sense to look at other PPC networks, including Facebook, to reach potential new customers no matter where they shop. Once a PPC network or networks have been chosen, it is important to have clear goals and a clear plan of execution. In addition, Google will often provide free AdWords consulting for new advertisers. If it offers one of these free consultations, take it. As a final bit of PPC advertising advice, sign up to become a Google Trusted Site. Once earned, a Google Trusted Site badge appears next to PPC ads on the Google AdWords network. Email marketing is another powerful tool for online retailers, but it can be overlooked as a new customer acquisition tool. This is a mistake. Make it very clear that you want site visitors to register for a newsletter, special offers, or discounts. Once a visitor subscribes, the retailer will get many new opportunities to convert that subscriber into a paying customer. Murdoch’s Ranch & Home Supply enters new email subscribers in a contest to win a $50 gift card. Social media marketing has received some poor press recently thanks to a report from research firm Forrester, which I addressed here recently, in “A Social Media Marketing Paradox?” In spite of this, practically speaking, it is one of the most effective tools available to small and mid-sized retailers. Social media can take many forms. For example, blog content is social, as are posts on Facebook, Google+, Twitter, Pinterest, Fancy, and YouTube. While most of the marketing on these platforms should be aimed at engaging customers in a sort of ongoing conversation, from time to time, it is acceptable to ask for a sale. This is especially true during the holiday shopping season. Asking for a sale on social sites can be as simple as posting occasional specials or sales. Retailers should be willing to sell where shoppers are. “Selling products across multiple channels is a growing trend for ecommerce merchants. If you rely on a single online store, you will likely to be left behind, because consumer-shopping behaviors are changing rapidly,” wrote Dale Traxler, of E-Business Vision, an ecommerce consulting firm, in “Multichannel Selling a Necessity,” a recent article. Amazon, eBay, Sears, Newegg, and many other large retail sites with millions of monthly visitors also allow small and mid-sized retailers to sell from their site. Put simply, to get more customers, place products on these marketplaces. When orders come in, be sure to include coupons and discount offers in the shipping box, encouraging folks to return directly to your ecommerce site. Amazon allows other retailers to sell products from its site. Contest marketing seeks to get potential customers to register or sign up in exchange for a chance to win a prize. In the context of attracting new customers, contest marketing is similar to email marketing, in that it is a gateway of sorts that introduces customers to a merchant and increases the chances of making a sale by increasing the amount of exposure. In “3 Examples of Contest Marketing,” I explained site-based promotions, social media-based contests, and email-based giveaways. Consider giving everyone who enters a contest a coupon for 10 or 20 percent off. A contest on a social network like Facebook can help a merchant get new customers.